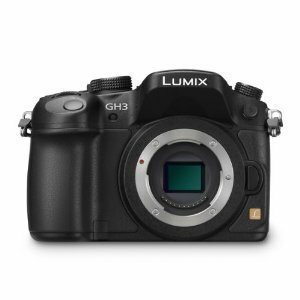 Hybrid Camera Revolution: Best Professional Compact System Camera for 2013 - Panasonic GH3! Best Professional Compact System Camera for 2013 - Panasonic GH3! The Technical Image Press Association (TIPA), an association of the top photography magazines in the United Kingdom, has named the Panasonic GH3 the "Best CSC Professional" for 2013. "The 16MP Live MOS sensor in the Panasonic LUMIX DMC-GH3 boasts sensitivity up to ISO 12,800 with +1EV push capability. Sophisticated noise filtration and suppression and a newly designed low-pass filter provides further enhancement of low light shooting results. Utilizing Contrast AF, the camera boasts improved AF performance along with faster start-up and shorter shutter time lag. The 100% coverage, 3-inch 16:9 Live View finder has a brilliant 1744k dot; there is also an articulated OLED rear view monitor (180 degrees to the side and 270-degrees up and down). A magnesium alloy, full die cast frame and splash-proof/dustproof seals are among the other impressive specs." Full text of Panasonic Press Release on its 2013 TIPA awards after the jump. Even though the award principally recognizes the GH3 as a still camera - its lightning fast autofocus and ability to create high quality, low-noise images at high ISOs are pretty useful for filmmaking too. Panasonic today announced that it has been awarded two prestigious 2013 TIPA awards, widely recognized as one of the most coveted photo and imaging awards worldwide. Panasonic’s LUMIX DMC-GH3 has been awarded ‘Best CSC Professional’ and the Panasonic LUMIX DMC-FT5(TS5) ‘Best Rugged Compact Camera’. Panasonic’s LUMIX DMC-GH3, the camera for the serious photographer looking to take their professional videography to the next level with a portable interchangeable lens camera, was named ‘Best CSC Professional’, following Panasonic’s LUMIX DMC-GX1 winning the ‘Best Advanced Compact System Camera’ last year. A TIPA jury spokesperson commented: “The 16MP Live MOS sensor in the Panasonic LUMIX DMC-GH3 boasts sensitivity up to ISO 12,800 with +1EV push capability. Sophisticated noise filtration and suppression and a newly designed low-pass filter provides further enhancement of low light shooting results. Utilizing Contrast AF, the camera boasts improved AF performance along with faster start-up and shorter shutter time lag. The 100% coverage, 3-inch 16:9 Live View finder has a brilliant 1744k dot; there is also an articulated OLED rear view monitor (180 degrees to the side and 270-degrees up and down.) A magnesium alloy, full die cast frame and splash-proof/dustproof seals are among the other impressive specs. Panasonic’s LUMIX DMC-FT5(TS5), the camera for the adventurous photographer demanding the ultimate tough still and video shooting, was named ‘Best Rugged Compact Camera’ following in the footsteps of the LUMIX DMC-FT3(TS3) which came top of this category in 2011. A TIPA jury spokesperson commented: “Waterproof to a depth of 13 meters (43 feet), shockproof from a height of 2 meters (6.6 feet), 100kg (220 lbs) of pressure resistance and freeze-proof to -10C (14F), the 16.1MP Panasonic FT5 is an excellent example of today’s breed of outdoor and rugged compacts. Video can be recorded in Full HD (1920 x 1080, AVCHD) with audio capture utilizing Dolby Digital. The Leica DC-Vario Elmar lens (28-128mm equivalent) delivers high quality previews to the 3-inch LCD. Keeping with the “connectivity” trend, the camera has “one touch easy” connection to WiFi that allows for remote capture using the ‘Panasonic Image App’. This also allows for tagging images using GPS functionality.